Our first mobile* casual game Bauble Disaster has been released today! 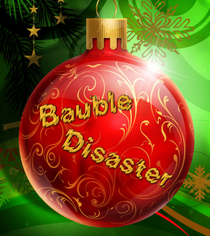 Bauble Disaster features a global Highscore list, unique Achievements and a selection of great and well known christmas songs performed by Kevin MacLeod. The game is available for mobile devices (awaiting approval) and can be bought in our shop for Windows, MAC and Linux systems. This time we decided to sell our game for a small amount instead of giving it away for free or just accepting donations. All sales will help to realise our new projects. The price is 0,59 EUR or US $0,79. *Unfortunately we ran into some issues and can not yet support native iOS and Android apps, but it should run well on newer devices. An upcoming free update will include additional songs and a music player. Read more about it in our development blog.